What? You thought I was getting broody? No, not yet, but the queen of our hive sure is! See there in the middle, the white capped cells? 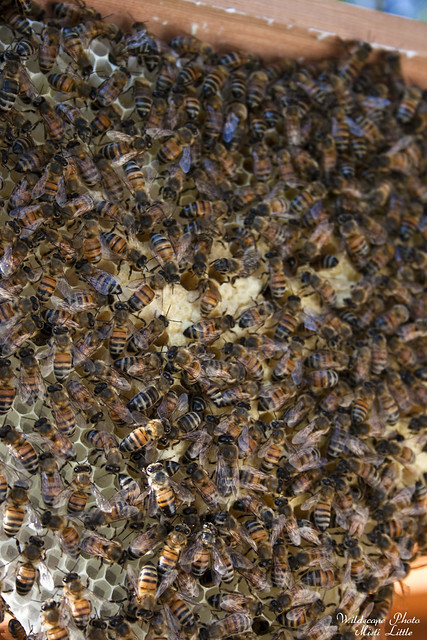 That’s brood, eggs that were laid by the queen waiting to develop into full grown bees! Last weekend Chris and I took out each comb in an attempt to try to find the queen. We didn’t end up finding her, silly girl was hiding in the mass of workers and drones. 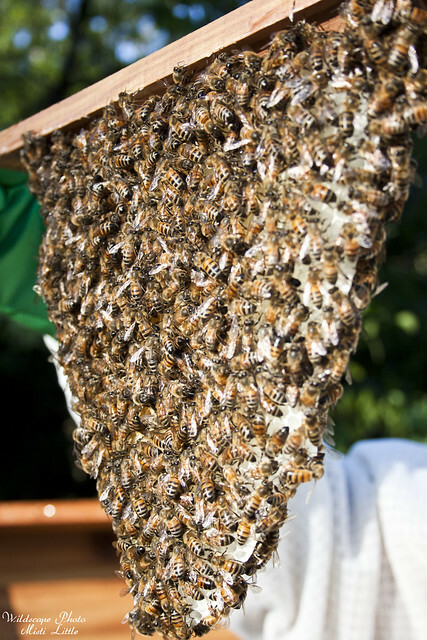 Our colony has been busy building up their comb and adding more in the last week. Now when I open the window I can actually see the combs—usually. With this freakish cold front on Thursday they were balled up tight to keep warm so I could barely see it then. 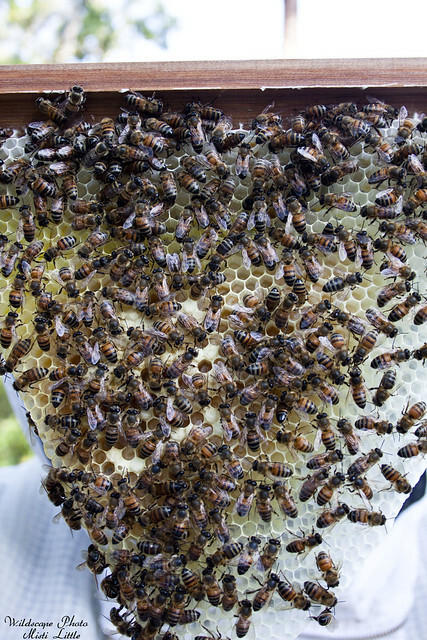 Yesterday I refilled their sugar water and I didn’t even bother to put on my suit as the bees were being docile, still balled up over the comb. I flipped up a couple of bars and spacer, reached my hand in, switched the lids to the mason jars and in a few minutes their sugar water was refilled. I did notice a couple of dead bees and was unsure if I should have picked them out or let the bees take care of them. Shortly after we put the bees into the hive Chris said he saw one of the worker bees ferret away a dead bee to the hinterlands of the garden, so this is kind of why I thought I’d let the bees do their own dirty work. I guess if they don’t bother in the next few days I’ll go get them out. 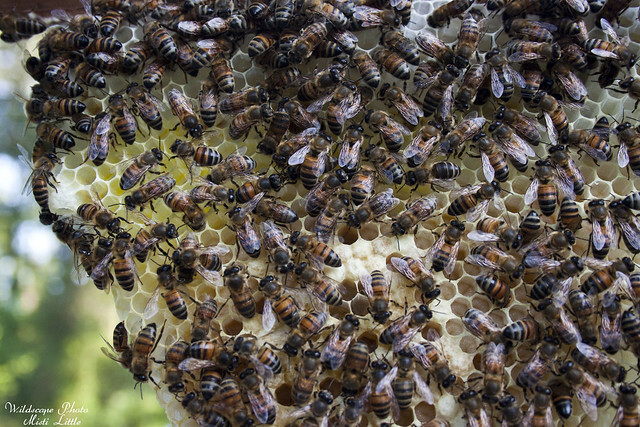 As for bees dying, it is natural for that to happen, while the queen will live several years workers only live for a few months, less in the summer. This is why you need brood! I’m loving your bee hive posts. More, more!